The ability to speak a foreign language does not necessarily lead to the capacity to be a good translator. Although it is possible to have a natural talent for it, nowadays a postgraduate degree in translation and/or interpreting is becoming an industry norm. Often people do not understand that translation is a kind of art form. It is not simply a matter of picking the first word or phrase that comes to mind. Therefore, while it is not always essential, a translating or interpreting degree is extremely useful if you wish to follow this career path. So what do you learn from studying translation? The obvious answer is improving your language skills, both grammar and vocabulary. You will learn to analyse texts in a new way and learn skills in areas such as audio-visual translation and interpreting. Depending on the course, you may be able to choose optional modules and specialise in certain fields, for example medical, journalistic, literary, scientific and legal translation. Furthermore, as mentioned above, translation is not about equivalence. The majority of the time, you cannot just translate word for word. Translation courses will teach different language theories and how to translate different types of documents. For example, more creative texts will require a freer translation. You will also have the opportunity to apply these theories in assignments and practice translations. Another useful skill for translation is knowing how to accommodate cultural references and translating cultural aspects that are embedded in a country’s language. 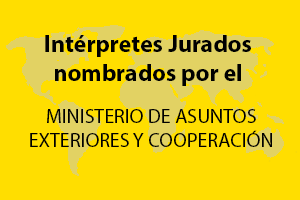 Translating and interpreting qualifications are not compulsory to be eligible for work as a translator or interpreter. However, for some areas such as sworn translation and court interpreting, you do need certain certificates and be registered with the relevant Government body for the country in which you work. Competitiveness. Nowadays it is more and more common to see professional translators with a Masters in translation. Therefore, not possessing a degree could put you at a disadvantage when compared to these people. Computer skills. Particularly in complex translations, it is important to consider aspects that are not related to language, such as the formatting and layout. A command of translation software can also be extremely useful. These skills can be acquired on a translation course and are aspects that someone with no training may not even consider to be important when translating. Credibility. Whether or not it is correct, clients may believe a translator or interpreter to be more professional and reliable if they possess advanced qualifications. Skills in linguistic problem solving. Translation and interpreting degrees can teach how to find solutions to language problems. You will also learn about the linguistic and cultural relationship between languages and the difficulties that arise from this. Translation theories. Although learning different theories of translation may not be terribly exciting, it can give a better understanding of how to translate different types of texts. For example, what type of translation would you use for a medical report? And would you use the same method to translate a poem as you would an instruction manual? There is no right or wrong answer when choosing whether to study a Masters or any other qualification in translation. Of course it is not necessary to study translation in order to become a translator or interpreter. However it does provide valuable skills especially in the technical side of translating. The ability to translate and interpret is a highly demanded skill today and if it is a path that you know you want to take, a degree may be a worthwhile investment.